Canadians love boating. 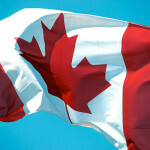 With seven percent of the world’s freshwater, the citizens of Canada do a great job at making use of it. Each year 8 million Canadians use 2.5 boats. That’s more boats per capita than the United States. 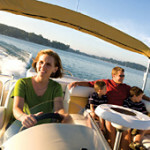 If you want to get in on the fun of boating; there are a few things you need to know. What kind of boat to buy? This all may seem daunting but a reputable dealer can easily guide you. While Canada may have more boaters, the United States has far more manufacturers. 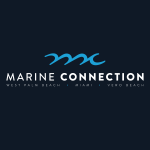 South Florida has the largest selection and best prices of boats in the world. Here are the top three boat makers. Glasstream is a 25 year old manufacturer of fishing and pleasure boats. They use 100% non wood construction with everything made from non-deteriorating materials. Their hull design is patented. If you want a boat that does it all, get a Hurricane. For over 30 years they have been the largest and most innovative name in family style deck boats. Found A Boat, Now What? Shopping for and finding the boat you want is the fun part, now comes the work. How much should you pay for it? Can you get financing? How do you get the boat home? Do you have to drive it home yourself or can it be shipped? How do you ship a boat? How do you get it through customs? What about paperwork? Registration? Insurance? Is your purchase under warranty? What if you have problems? Can you get a service agreement and how do you handle maintenance? 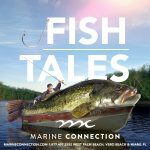 It is vital to find an experienced, reputable dealer to handle these issues Marine Connection is South Florida’s largest volume boating super store. Started in 1987 the have shipped more than 8000 boats all over the world. We have special shipping arrangements and in-house financing while our large selection ensures that you get the right boat at the right price. Our experienced staff will handle all the details for you. We make buying your boat fun and easy. For more information or to purchase the boat of your dreams contact us today.